The inventors of the world’s first superconducting maglev system tell how magnetic levitation can revolutionize world transportation, and even carry payloads into space. Maglev is a completely new mode of transport that will join the ship, the wheel, and the airplane as a mainstay in moving people and goods throughout the world. Maglev has unique advantages over these earlier modes of transport and will radically transform society and the world economy in the 21st Century. The world is moving towards the sustainable source of energy and perhaps Maglev could change the public transport in near future. The manufacturers of transport vehicle are continuously harping on innovative techniques which reduce the dependency on fossil fuels. The luxury car brand Lexus unveiled an unique design of Maglev powered hoverboard which could potentially change the public transport in near future. 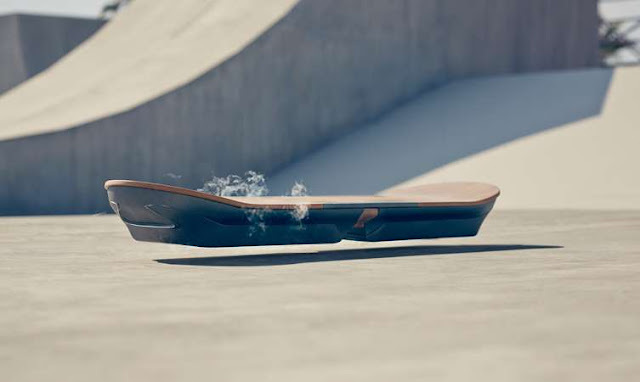 Meet the Lexus version of a hoverboard, a moving board of sorts with a magical look. This is the Slide hoverboard, the fourth project in the company’s Amazing in Motion campaign. And what a way to brand. The Lexus hoverboard features the iconic Lexus spindle grille signature shape. The luxury car brand Lexus has issued a video trailer for what it says is a ‘real’ hoverboard complete with a polished wood deck and smoke pouring out of the top. Lexus said it used magnetic levitation with liquid nitrogen-cooled superconductors and permanent magnets, allied to similar technology that go into its cars to design it. However, the board can only be used on a metal track or surface at present, even though the video shows it appearing to work in a skate park. A number of tech sites attempted to clarify what was going on. Andrew Liszewski in Gizmodo said: "We've seen plenty of hoverboards and hover toys and hover miscellanery over the years, and they all rely on super-strong magnets to stay aloft. But the more weight you intend to add, the colder and stronger those magnets need to be. Lexus claims its hoverboard uses liquid nitrogen-cooled superconductors and permanent magnets to support an actual rider, hence the foggy mist coming off the board."